Healing Hands is a common Endurance action card. It is part of the Core Set. 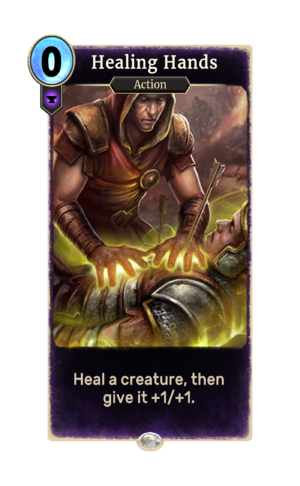 This card's ability applies the Laying of Hands card effect.